Feeling confident and looking good actually starts with the facial features and nose forms the most anticipated part of your face. So, if for some reason you are not satisfied with the shape of size of your nose, then Rhinoplasty Surgery in Delhi by Dr. Bhasin could just the best right for your nose to get back the confident and desired facial features. Whether you feel your nose is crooked or too big or simply not in shape, then Rhinoplasty can do wonders to boost your self esteem in best way possible. Rhinoplasty Surgery or Nose Job is a form of cosmetic surgery where the cosmetic surgeons manipulate the cartilage or bone of your nose to alter its nature appearance or shape that you desire for. It is very popular these days amongst women and men equally and this enhancement procedure is versatile in nature that can correct several cosmetic issues and even breathing problems. Specialized in Natural Nose Surgery or Rhinoplasty Surgery in Delhi, Dr. Bhasin has over decades of experience in the field and has the skill set and expertise to diagnose individual problem, both functional and cosmetic, and design surgical procedures tailor-made for specific cosmetic problem instead of using same procedure in every case. Dr. Bhasin at Care Well Medical Center (South Delhi, CR Park) offer individualized nose surgical procedure that is designed specifically for every patient in adherence to their individual demands and problems. With over 17 years of experience in Rhinoplasty and other cosmetic surgeries, Dr. Bhasin design many surgical procedures for patients including, top Rhinoplasty, Cleft Rhinoplasty, Breathing problems correction, lengthening for short nose, longitudinal nose and vertical septum lengthening. At Care Well Medical Center all nose surgeries are carried under the supervision of Dr. Bhasin. Considering the individual demands of patients and their problems, Dr. Bhasin can modify the natural nose framework and create beautiful looking nose naturally without using any artificial or harmful implants like polyethylene, porous, silicone etc. By nature, humans are vain and they usually are not satisfied until someone considers them admirable or beautiful. Most of the people today spend fortune in different surgical procedures and cosmetics to look beautiful and to make alteration in their facial and physical appearances. Nose always remains the facial point of your face and if you are not satisfied with its shape or size, then it is better to undergo a surgical procedure called Rhinoplasty or Nose Surgery. It allows you achieve great balance of your nose and the symmetry will enhance your look greatly. To, resize, reshape, and mold or to achieve perfection with your nose you may undergo this enhancement procedure offered at Care Well Medical Center by renowned cosmetic surgeon Dr. Bhasin. Rhinoplasty Surgery is not always recommended for cosmetic or aesthetic reasons, instead it is also performed sometime to address the flaws with the septum which is the prime cause for sleep apnea. Patients with breathing disorder with blocked nasal airways are also prescribed with Rhinoplasty surgery. This surgical procedure is also helpful in repairing the damages on nose caused due to injuries or accidents. Birth defects on nose can also be corrected with this procedure. Having large nose is quite irritating for many people out there. It not just only creates insecurity in people, but they also make people feel low in focus. So, to address such situation, Rhinoplasty surgery in Delhi has been introduced which is carried out by experienced cosmetic surgeon, Dr. Bhasin at Care Well Medical Center. The procedure can decrease the size of the nose and add more balance to the facial features. The procedure is also very helpful for patients with broken nose or injuries in nose due to accidents. The procedure not just only corrects the imperfections, but also streamlines the nose and boosts your self esteem. Many people complaints regarding breathing problems when their nasal passages get blocked or become narrow. So, in such situation getting Rhinoplasty Surgery would be helpful as it not just only repair the issue permanently, but also ensure that air flows in and out easily. Dr. Bhasin is a board-certified cosmetic surgeon who has the expertise to reconstruct the facial feature and give your nose a more natural look and feel. The results of the surgical procedure can be significant or minor, depending upon the type of correction you want in your facial feature. It is very crucial for you to consult your cosmetic surgeon before undergoing the procedure to know the end-results of the procedure. You and your surgeon must agree with the goals of the procedure before the surgical procedure starts. If the expectations of the patients regarding the procedure are realistic and the surgeon shares them, then he/she can definitely provide you the expected results with the procedure. Although the results of the procedure is permanent, but specific injuries to nose or other factors may again change the appearance of the nose. So, consult your doctor before the procedure is conducted. Your doctor will diagnose and ensure if the nose is fully developed before the surgical procedure. The surgical procedure should only be performed on fully developed nose for lasting effects. If the procedure is performed before complete development of nose, then the continued development may alter the results of the procedure and cause complications later. 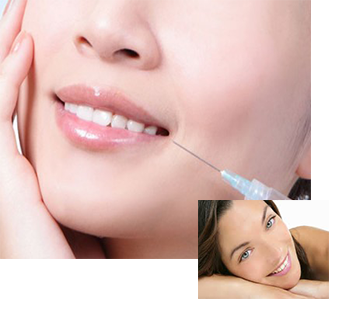 The procedure is performed either with IV sedation or local anesthesia. The surgeon first makes incisions on the area where correction is to be done so as to expose the cartilage or bone. Once the area is open, the doctor will reshape the nose as you desired using specific tools. If the patients have bump in nose or some asymmetry, then they surgeon will correct it in the same surgical procedure. When correction is completed with the cartilage or bone, the surgeon stitches the incision together and apply bandage on the incision to help it heal. The surgeon will provide you with anti-biotic and medication to deal with the inflammation and swelling in the area of incision. This will alleviate within few weeks of surgery. However, you need to take full rest for one week after the surgery is done. You are required to apply cold compresses and ice packs around the area where surgery is done to reduce swelling. Your doctor will provide you few instructions that you need to follow after surgery to recover quickly.